Photos of Munster, Indiana, a beautiful town, located less than 30 minutes from Chicago and tucked into the northwest section of Lake County sharing a border with the Illinois state line. Munster, Indiana is a vibrant community, full of parks, restaurants, retail shops and plenty of things to do. Centennial Park, the towns crown jewel park located along Calumet Ave, is a popular location for wedding photos and has a bridge, walking paths, playground, golf course, and dog park. 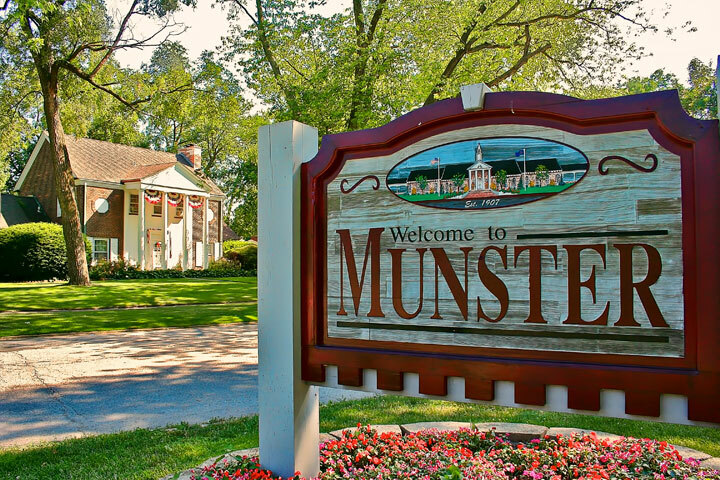 Popular places for photos of Munster, Indiana include Centennial Park, Munster High School, Community Park, Veteran’s Memorial Park, Bieker Woods, Heritage Park and Kaske House and many other locations throughout the town.